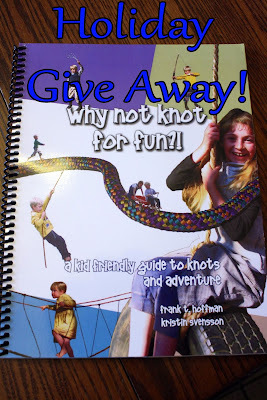 Don't forget to enter the book giveaway! When you have an old Jersey milk cow who produces a large amount of milk, you always prepare for milk fever after calving. In the past we would give Lucy a dose of calcium paste and she would be fine. This time it wasn't enough or soon enough. Although she is not in terrible shape, I knew at milking time yesterday afternoon that my girl was not well. She was lethargic, slow, had no appetite and was dry nosed. The best assumption was milk fever. She needed calcium in her system. Devin hooked up a bottle of calcium gluconate to an IV start kit and we gave her the entire bottle via subcutaneous injection at several sites on her body. We also gave her another tube of calcium paste. It was cold, dark and rainy out. I felt like James Herriott in his books when he describes the cold nights on farm calls with a down cow. We, of course, have been keeping in contact with our own James Herriott, our vet Dr. Benson, during this entire ordeal. She spent the night locked into the milking stanchion area, bedded down with lots of hay. I was happy that she ate quite a bit of hay during the night. This morning Lucy is slightly better. She has a little better appetite and her nose is moist. Her body temp, however, is still low. She had lots of company this morning from Ivy and Stella. I gave her more hay and kept her locked up until late this morning. The vet wants her to walk around some, so she is secure to the 1 acre lot next to the milking area. It has been a very hectic and stressful 18 hours. I think she will be okay, but I am cautious. Now, on another note, we did drive up to a local dairy and purchase two bull calves this week as well. I am wanting to get some steer on grass and the only way I can afford to do this is to buy bottle bull calves. This big boy was born the day before my Annabelle. He is a Jersey/ Brown Swiss cross. He is quite large and will make a nice sized steer. The picture doesn't do him justice. He's quite beautiful. The other bottle baby is a 3 week old full Jersey. He is quite active and loves being outside to run and stretch his legs some. Both calves and Annabelle are doing well. I have them locked in an old chicken coop that I use as a small animal stall now. I have a heat lamp up to help keep them cozy. It has been very cold here the last couple of days and doesn't look to be warming up much this week. So THAT is what I have been up to this week! I feel like I just had a new baby myself in that my house is a disaster and I am barely keeping up with laundry and meals! But, just like having a new baby....this too shall pass. Things will eventually get themselves back into working order, I just have to try and get my Lucy better. I am grateful to have a crockpot this morning and some chili is cooking away in it now. We will have a hot, yummy dinner after milking this evening. It is great having so many bottle calves to feed. The kids are big helpers and the calves are very lovable! Have a fabulous weekend! Don't forget to enter the book giveaway either! Winner will announced Monday!